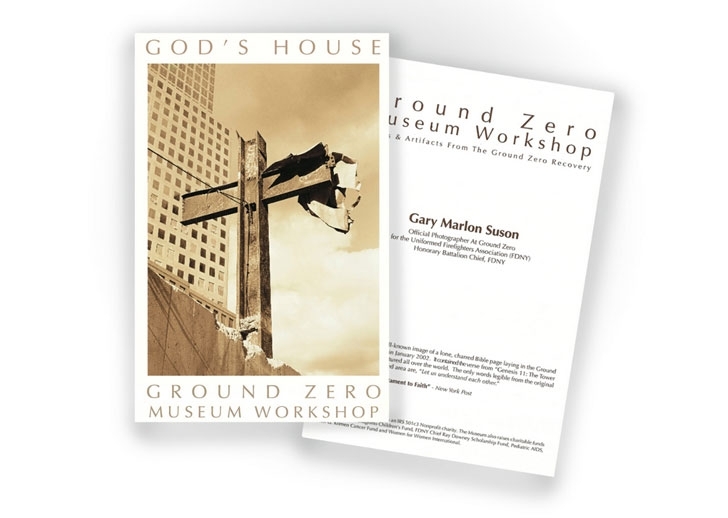 These oversized high-res Ground Zero Museum prints measure 6x9 inches and look stunning framed and placed on any desk or wall. 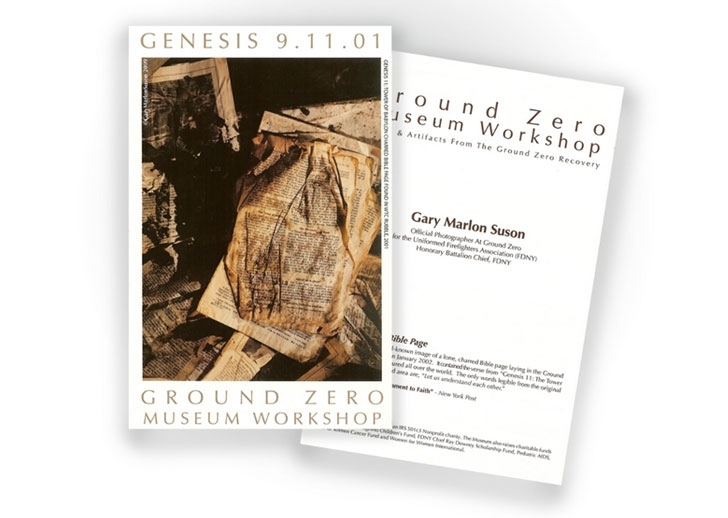 We currently offer two variations: The “Genesis 11: Tower of Babylon” Bible Page and the World Trade Center Cross. They come hand-autographed personally by the Official Photographer at Ground Zero.